The blow of the death of Mitsubishi's sport sedan, the Lancer Evolution, was softened by the news that we would get a very special one before it goes away; rumours were flying around, and nobody knew just how powerful the car would be. A few days ago, this picture, along with some information, surfaced prior to the Tokyo Auto Show. 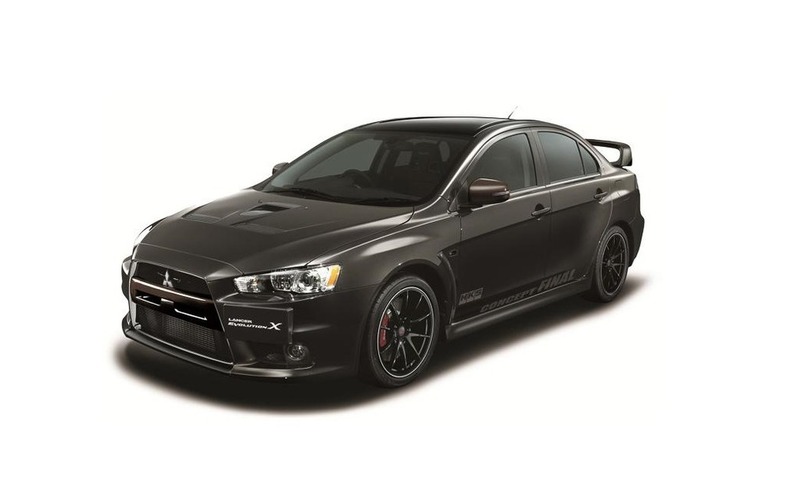 From the outside, the Mitsubishi Lancer Evolution Final Concept features matte black paint, 19-inch RAYS wheels painted black and a gloss black roof and spoiler. Also: 2011 Mitsubishi Lancer Evolution: No Half Measures! This final EVO X will be based on the GSR model, but its 2 litre engine has been seriously upgraded with the addition of a new HKS turbocharger, a less restrictive air intake and exhaust, a performance ECU and an optimized intercooler. The car now has 473 horsepower on tap, and power will be sent to all four wheels via a 5-speed manual gearbox. Performance specs and pricing are unknown yet, but we can expect to know more when the car is officially released at the Tokyo Auto Show, which opens on January 9.